The one word that encompasses the emotions and experiences I’ve had over the past ten years is “Respect”. It is the one word that explains the game of ice hockey from top to bottom. I want students to never forget this word. Yes. We firmly believe in building character, self-esteem and confidence but you must respect yourself and your teammates to accomplish goals. Everybody loves to win. We don’t teach losing although you may get a medal for it at some point. Trying your best goes way beyond the on ice product. It defines who you are. This is something you will take with you the rest of your life. Great athletes and people who are successful have role models and mentors that give guidance but the competitive spirit comes from within, “Nobody out competes you. That’s trying best”. Our Community Sports Program, partnered with the Hong Kong Federation of Youth Groups has been a great success. With the aim of promoting the sport of ice hockey and the values of team spirit and working with one another, this program has brought kids together and has given them the opportunity to be part of this sport and culture. Ice hockey requires the efforts from everyone on the team and when everyone pulls towards the same goal and direction, winning and being a successful team will come naturally. The Hong Kong Federation of Youth Groups stresses the importance of team bonding and being a good teammate which is the foundation of what this organization and our program has built upon. While we strive to improve their basic skills and teach the necessary techniques to become a better hockey player, our overall motive is to make sure these players are working hard together and pushing each other. We want these players to create friendships that will last a lifetime. It has been so good to see the kids that have participated and those that are still a part of this program become such good friends with one another and those that have moved on, continue to give back and help out. This is what hockey is all about. In Hong Kong, the high cost of ice time and equipment are the barriers to entry in ice hockey. I didn’t start playing ice hockey until I graduated from college due to the lack of financial support; thus, I agree with the philosophy of the Hong Kong Academy of Ice Hockey very much. HKAIH takes the lead to drive the localization movement of ice hockey in Hong Kong. Not only does the Academy provide equipment to players in need, the youth generation can also learn the sport at lower cost. 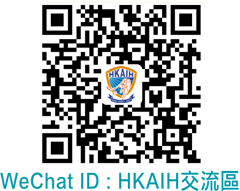 In addition, HKAIH and HKAHC established Hong Kong School Ice Hockey League since 2012 so that more players who love ice hockey can represent their schools to showcase their talents, build team spirit and unique ice hockey culture. It certainly creates lasting memories during their school lives! Ice hockey becomes an indispensable part of my life. I hope to continuously promote ice hockey, cultivate better players, and teach respect, confidence and perseverance to the adolescents through ice hockey.